Moving… everybody loves it right? Now supersize-it and make it international. It goes without saying that having as little as possible, essential possessions, is the way to go! After all, how much do we really need? Just re-buy it. What is worth the cost of shipping it overseas, or long term storage? Some mementos and family heirlooms worth keeping – yes. But slimming down can be very liberating. It’s human nature to build-up, tear down, and start over. 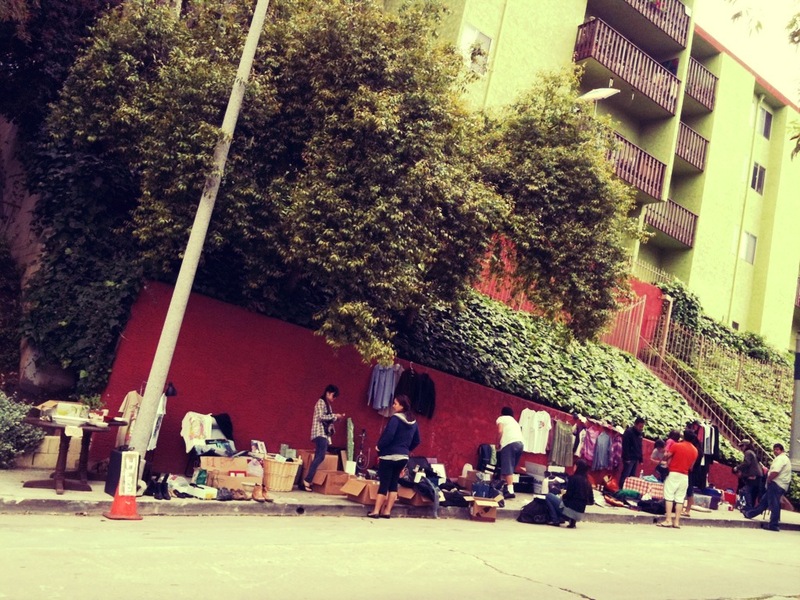 Getting started with a big, fat yard sale helps a lot. Having done these a few times now, there are a few suggestions or “rules of thumb” that I’d like to pass along. can re-collect and RE-USE them multiple times. Nobody wants to make signs twice! And it should be obvious WHICH house you are at from a distance – use balloons, or anything visible! Ok this isn’t 100% possible, but you can limit the number of non-buying people taking your time. EXAMPLE: Jewelry is a very HOT ticket item in our area. If you don’t want people pounding on your door hours before the garage sale starts – simply don’t advertise it! Especially if it’s just a few pieces of costume jewelry. Advertise accurately. This one is debatable, certainly. But who wants to put price tags on everything? Live in the moment. As you gather your items the day before, you should have some idea in your head. Communicate the items that matter to your helpers. Also, why limit your negotiating ability by setting a price in advance? Nobody will pay asking price anyway. I’m talking at least 100 in 1’s and some rolls of quarters. 10’s and 5’s. It all depends on what you have to sell. But yes, if you don’t have change – people will use this to their negotiating advantage. Write down how much you are starting with somewhere! Keep your change in a secure, portable location like a satchel with a buckle/snap. Why? Because yard sale patrons are in a rush – to get to the next yard sale. That means they will double-park (probably in front of your neighbors driveway), make noise, and leave some sort of mess to clean up. It’s just simple courtesy to keep neighbors in the loop. They might even be your best customers. You probably won’t have time to take a break for lunch – especially if it’s during a wave of buyers. Make easy-to-hold, ready to eat snacks you can have at an arms-reach. And don’t forget to set the timer on the coffee maker the night before – if you need it like I do. Everyone likes to haggle for the lowest price. This is fine and expected. You want to get rid of as much as possible, right? But there will always be those who want everything free and offer a dollar for that prized possession. For things you really care about, you don’t have to give it away. Being ready to say NO THANKS always gives you the upper hand if it’s something you are willing to hold on to. I’m as guilty as anyone. The best way to get a good deal at a garage sale is to make a pile and get a discount on a bundle of items. Just be aware of this technique. It’s in your benefit to get rid of a lot, but make sure you SEE every item, and spell out the original cost of each item, out loud, before applying your discount. Never apply a discount before they are completely done shopping. It sounds ridiculous right? Who would steal from a garage sale? It’s almost comical, but it’s pretty common. I’ve had people attempt it on me multiple times. I think maybe that they think it is justifiable because it’s low-cost, or nor a real store… or something. It is not OK. Beware of people putting things inside of other things, and trying on items and… leaving them on! Yes, this is impossible – but try to imagine different scenarios. If someone needs packing material, or a bag to carry their stuff, do you have it to offer? If someone asks you to hold an item for 2 hours – what will you say? If they need help carrying something to their car – is this something you are willing to do? Who will watch over things when you need to use the restroom? Ok! Now you’re ready! Go get rid of some junk – i mean… valuable antiques! Have a good tip, or a funny yard sale experience? Leave me a comment.